Atopic dermatitis is a long-term skin disease. "Atopic" refers to a tendency to develop allergy conditions. "Dermatitis" means swelling of the skin. Atopic dermatitis is most common in babies and children. But it can happen to anyone. People who live in cities and dry climates may be more likely to get this disease. When children with atopic dermatitis grow older, this problem can improve or go away. But the skin may stay dry and easy to irritate. At other times, atopic dermatitis is a problem in adulthood. You can't "catch" the disease or give it to other people. For approximately 8 million Americans, visiting a doctor regularly is the key to managing their psoriasis, a chronic inflammatory skin condition characterized by itchy or painful red patches that can appear anywhere on the body. If you and your doctor chat for a few minutes about treatment options for your allergy symptoms, is that considered shared decision-making (SDM)? 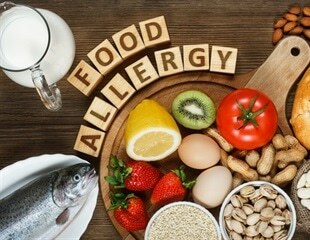 It is not, according to a new article published in Annals of Allergy, Asthma and Immunology, the scientific publication of the American College of Allergy, Asthma and Immunology. If you've never suffered from eczema, also known as Atopic Dermatitis, you probably aren't aware of the negative impact it can have on quality of life. Dr. Jagadeesh Bayry from INSERM discusses his recent research in the field of immunology, and how T regulatory cells activate, rather than suppress, basophils. An international team led by Johns Hopkins Medicine researchers has conducted what is believed to be the largest detailed published study of people with a poorly understood skin condition known as prurigo nodularis.